A woodcarving of M.C. 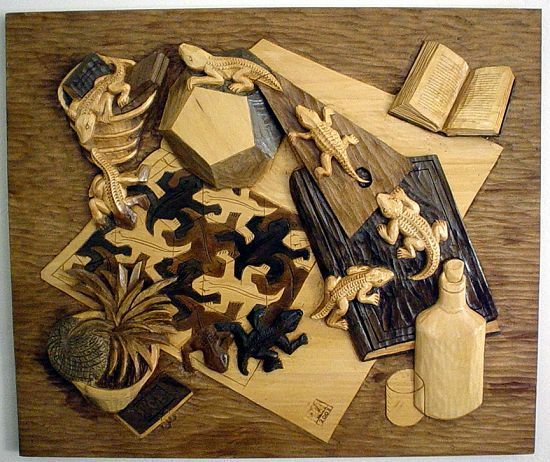 Escher's "Reptiles" by Philip Allin. The image was found at the forum of the site "World of Escher"